Senator Chuck Grassley of Iowa is renewing scrutiny of a federal program created to support law enforcement officers disabled or killed in the line of duty. The Public Safety Officers Benefits Program has been marked by delayed and inconsistent responses to officers and their families seeking disability or death benefits. In a letter to Attorney General Barr, Grassley is raising concern that a lack of formal guidelines for adjudicators could be leading to inconsistent findings when processing disability claims. Stringent Justice Department regulations also further limit access to disability benefits for officers even if they were permanently disabled in the line of duty. In some instances, permanently-disabled officers were denied benefits because they temporarily earned nominal wages for part-time work or were able to do work around the home for no financial benefit. 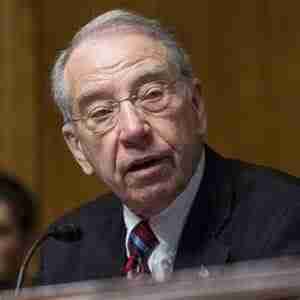 Grassley has previously raised concerns about long waits for families seeking responses to death benefit claims. Legislation he introduced to address the wait times was signed into law in 2017.